There are plenty of studies that show how many women are missing in career fields like science, technology, engineering and math (STEM). One of the reasons might be because it's more popular for a woman to explore fields like medicine, music, and education. While these fields are absolutely amazing, it's important to have more women at the table across all fields. Whether it's politics or ballet, consider these three tips to help your daughter explore her natural talents and interests. While many children might want to play with their favorite toy all the time, introduce your daughter to different options. Let her play with a pretty doll one day. The next day, encourage her to play with the train set. Give her many options so she can learn what she really likes. For story hours, introduce different subjects. You can teach her about the Spanish language in one book. In another book, you can allow her to learn more about the U.S. government. 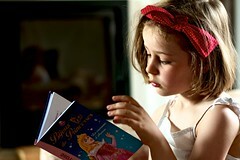 Make sure that all of these books are age-appropriate so that they don't go over her head. Cultivate an appreciation for STEM subjects. Take her to science museums. Practice math problems together. Don't wait until she has science projects that are assigned at school. Instead, work on science projects at home. Learn how to mix different ingredients with different measurements while you two are cooking. 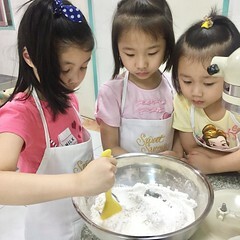 As you find creative ways to infuse STEM lessons into her daily life, the chances of her loving these areas might grow. Go out of your way to expose your daughter to as much as she can absorb. Visit the children's theater to appreciate the fine arts. Allow her to take a dance class. Sign her up for lessons to learn a particular instrument. Instead of going to the local fast food restaurant, go to a Japanese steakhouse. Get her a passport when she's really young. Travel as much as possible. Make sure to include international travel in the agenda. As she travels the world, her world view will naturally expand. Make the moments count with these practices. As a result, she'll be able to learn whether or not she'd like to be an engineer who can build a tray deaerator or a world-class actress who wins Oscars each year.